I've made it twice before (first and second versions) and I really like the shape and cut of this one. It sits quite high and close at the front so it's nice and stable for sporty swimming, but the back has a lovely cutaway so there 's no confusing it with a leotard type pattern. As the straps don't cross over at all, there's also no confused kid trying to work out where to put their head or arms. As with her other swimsuits of this season I traced the "j" width and "l" length. It was a bit confusing working out where would be best to lengthen and I ended up tracing my pattern width lines at about the height lines of the size 2 sizes up and filling in the blanks in the middle as best I could. I didn't end up with the side seams of the panels lining up as neatly as they would if I'd traced a single size. Annoying once it's pointed out, but hardly worth getting uptight about. This was the first time I'd tried the "piping" effect on the front. A thin strip (about 1/4") of lycra fabric is cut and then, under some tension, it rolls itself into a tube. It's then stitched down with a zig zag stitch that goes side to side over the top of the tube and holds it in place. It took a little bit of practice and the trick seems to be starting well in the seam allowance so that's it's rolling in properly by the time you get to where it will be visible on the swimsuit. 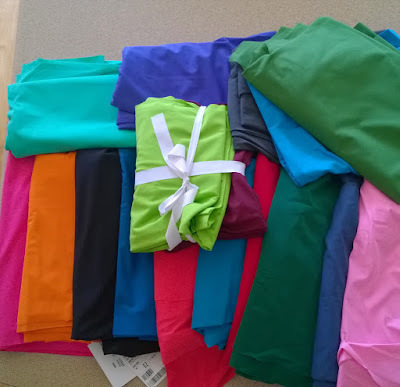 Getting both sides to match was also tricky as none of my fabrics pencils/chalk would mark the lycra convincingly. I freestitched one side, then folded the swimsuit vertically down the centre line and used pins to mark the stitching line from one side to the other. Now, can I talk about the fabric please? The two shades of pink were A's choice when I put in a big order last year (everyone in the family got to pick a few colours and maybe I chose quite a few extras) for this extraordinary Lycra. 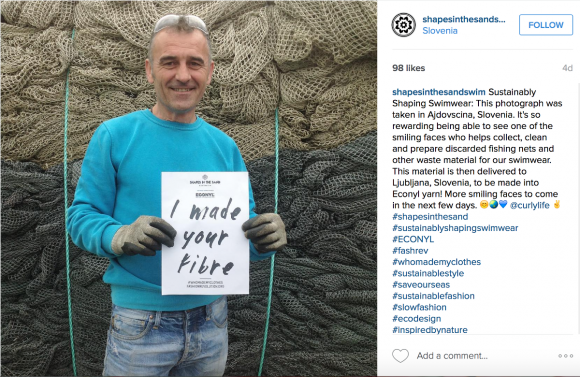 I was immediately taken by the idea that discarded fishing nets were being collected off beaches and made into 100% recycled nylon filament. The other main source is discarded nylon carpets. To take ugly, hazardous waste out of the landscape and reuse it is delightful, and that cheery Slovenian guy had me determined to find myself some recycled swimwear fabric. 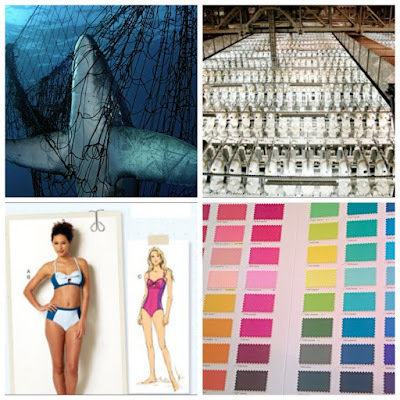 I contacted Eclipse Textiles who are listed as an importer of Carvico fabrics into Australia. They were extremely helpful, their minimum order is as little as 1m, but they only sell wholesale to fabric retailers. However, the lady at Eclipse was happy to post me the big fold out Italian swatch book with all the colours (and the luxurious feel) of the VITA range as well as the Australian importers copy sheet (some missing and a few renamed, but mostly the same). The fabric is fabulous. It's smooth, pleasantly thick but not "heavy". It has great compression and shape while still being very stretchy. The colours are beautiful and since it's yarn dyed, there's no loss of colour with stretch. Seriously, it's really, really good stuff. Flipper and the kids chose some colours for themselves and I picked half a dozen too. The cuts, when they arrived were quite generous and it's a good 150cm wide. 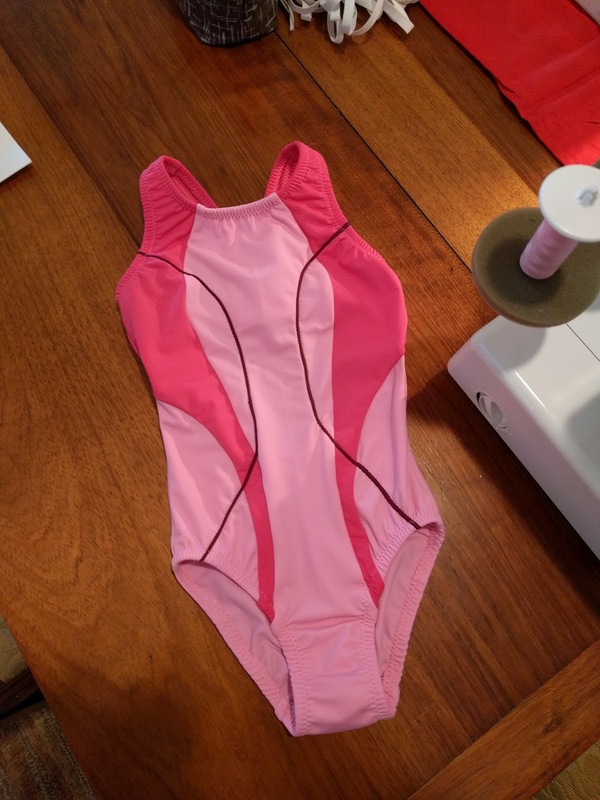 You can see I used a bit of my burgundy to do the piping on the swimsuit with A's two tone pink choice. Normally with a pale pink lycra I would have lined the back panel of this swimsuit (although the pattern doesn't indicate it), but as you can see from the modelled shots it's not thin or see through at all. The big test will be to see how it stands up to a year of swimming lessons in a chlorinated pool. All of my previous kid's swimsuits have faded or become very thin over the course of a year. I guess they grow fast enough that it hardly matters, but I hate to think of them as that disposable. Printed fabrics are all well and good but I'll happy mix and match my solids and eschew the prints 'cause this stuff is just too nice not to use. The orange in A's previous suit is one of the Carvico VITA fabrics and the feel of it and the sewing of it couldn't have been more different to the rest of that suit. Ok, just get yourself some somehow. Enough said. Fabric: Carvico VITA recycled Nylon/elastane. That piping matching is spot on and I love your fabric, what a great story behind it. Do let us know how it holds up. Love those colors! Great story about the fabrics! Thanks Rachel. the colour range is amazing. I wish I could have had a metre of every one! Love the idea of this fabric recycling that plastic muck in the oceans. 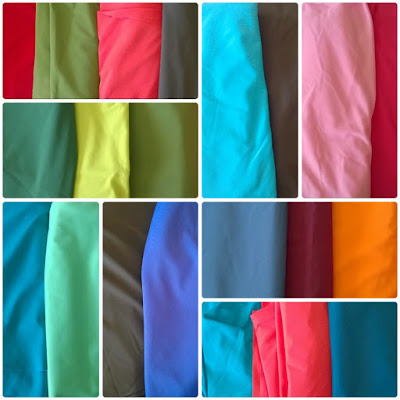 Interested to know whether you think this fabric would be good in leggings? Also, was the fabric was particularly expensive? Say, over $20 per metre? Oh I forgot to answer re cost. It came to about $30 (AUD) per metre, but then we had it shipped from wholesaler to retailer and then again to me and were only buying small volumes. Since a swimsuit uses so little fabric and ready to wear swimsuits are so expensive I'd still say it would be cheap at twice the price! This looks amazing - so professional. The fabric sounds great, and now you've got us all wanting some... maybe you could start a little business distributing it! Thanks Marisa. I'm hoping to persuade someone in the fabric business to become a Carvico retail outlet! Gorgeous bathers. Would you use this fabric for cycling gear? Thanks! I guess for knicks it would have the right feel, stretch and opacity. I howvere would never make knicks as I can't source high quality chamois and I don't have a flatlocker. If I could overcome those hurdles without a five figure financial outlay then yes! It's completely wrong for jersey fabric, but Carvico do make cycling specific fabrics too. I keep seeing pictures of Pippo Pozzato in Carvico's online media stream! I'll confess to having bought some Carvico thermal lycra (Vuelta) as well which will be perfect for arm and leg warmers for the whole family of cyclists! Stay tuned, that may happen this winter.